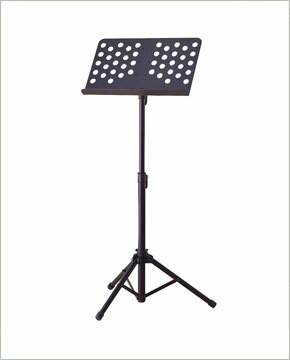 Professional quality concert music stand with lever height adjustment. Tilting desk that pivots between plates. Two section center tube adjusts from 90mm to 145mm.